It was fun hearing from all of you as you tried to guess the site in my photo! Well its now time to reveal the mysterious destination! Drum roll please!!!!!!!!!!!!!!!!!!!! 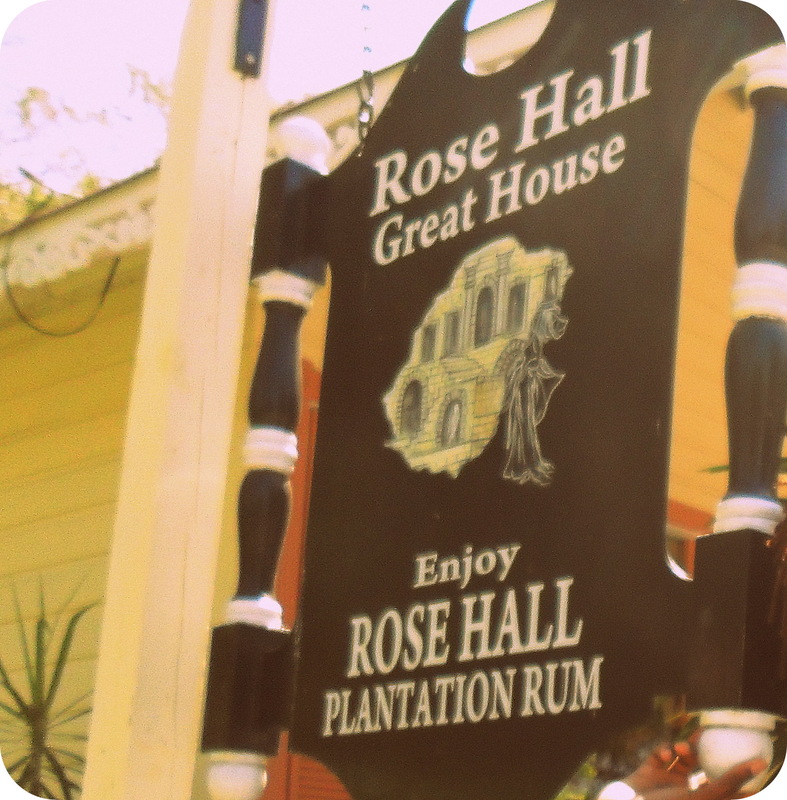 It is Rose Hall Great House in Montego Bay, Jamaica! 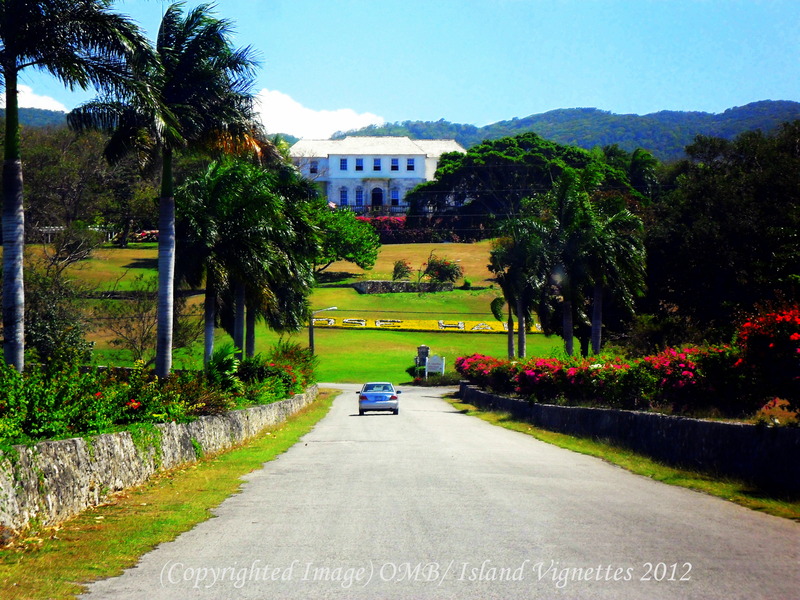 This Great House is probably one of the most popular in Jamaica and is located a few kilometres east of Montego Bay. It is a beautiful Georgian manse complete with stone base and a stunning view of the coast. The grounds are well-kept, peaceful and quite hilly in some spots. 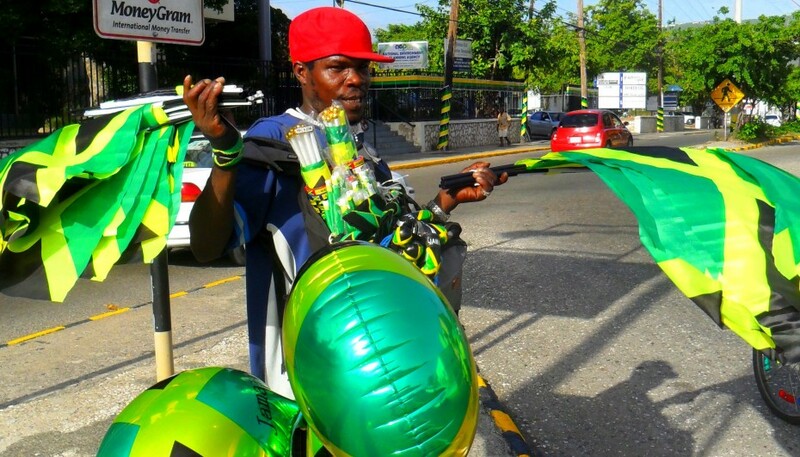 Occasionally you many glimpse a staff member pass by, dressed in the Jamaican traditional garb. Perhaps intentionally, this sight tends to feel like an immediate throwback to the days when slaves and servants scurried about their daily duties. If you look hard enough, you’ll spot a green-eyed cat peering at you from the shrubbery! 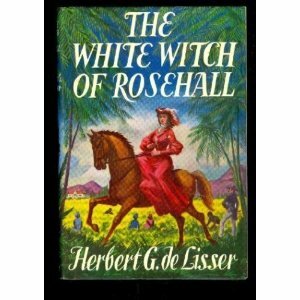 The story states that the White Witch was Annie Palmer, who was born in England to an English mother and Irish father. She spent most of her life, however, in Haiti. After her parents died of yellow fever she was adopted by her nanny who regularly practiced voodoo and taught her witchcraft. She later moved to Jamaica, where she was married to John Palmer in 1820. She reportedly stood 4’8″. 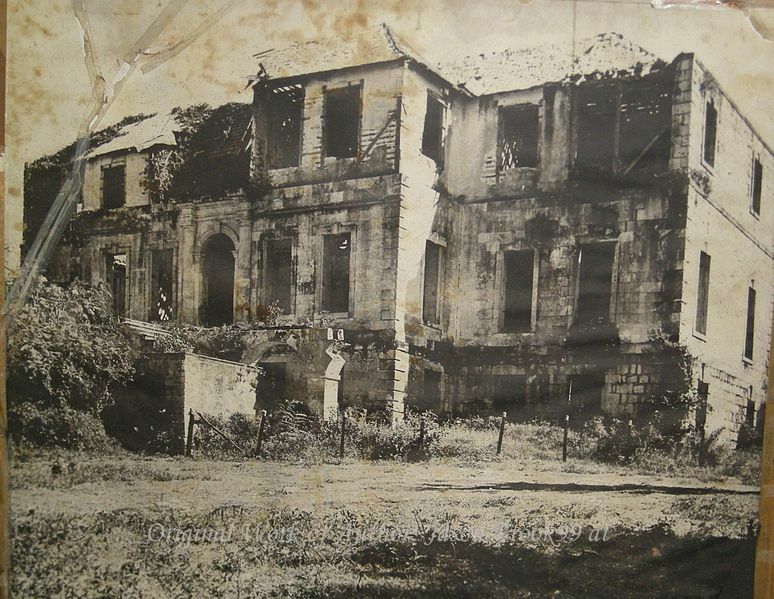 John Palmer was the owner of Rose Hall Plantation, east of Montego Bay. Annie’s husband (and two subsequent husbands as well) died suspiciously, and it is speculated that Annie herself brought about their demise. Fancy a drink with a ghostly companion? Then go below-stairs to Annie’s eerie pub! Annie became known as a mistress of voodoo, using it to terrorize the plantation, and taking male slaves into her bed at night and often murdering them; supposedly because she was bored of them. The legend has her being murdered in her bed during the slave uprisings of the 1830s by one of her slave lovers named Takoo, who also practiced voodoo and became one of Annie’s lovers. Annie was said to be killed by Takoo because she was in love with the husband of Takoo’s granddaughter. When Annie found she could not have him, she conjured a voodoo curse on Takoo’s granddaughter who died a week later. When Takoo found this out, he killed Annie. Takoo ran into the forest to hide after murdering Annie, but was quickly caught by an overseer (another of Annie’s lovers) and killed. It is said that a family who owned the property after the Palmers had a housekeeper who was “pushed” by Annie off of Annie’s favourite balcony, subsequently breaking her neck and dying. II is the reigning monarch, represented by the Governor General. Although there have been many calls lately for Jamaica to become a Republic, I have to wonder. Thanks a bunch for stopping by! 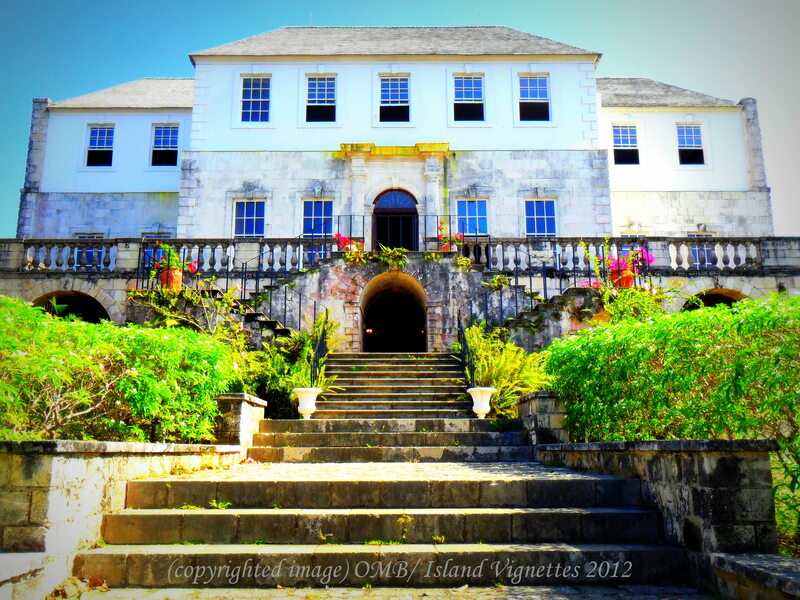 Haunted Caribbean Destination: Can you guess where this is? Today I want to challenge you. I took this photo more than one year ago. Now I’m sharing it with you. I also want to share the story of ghostly appearances, black magic, dead lovers and beauty that is associated with this place. Help me by guessing the place and location and I’ll finish the tale for you! The story of this haunted manse will set your hair on edge! 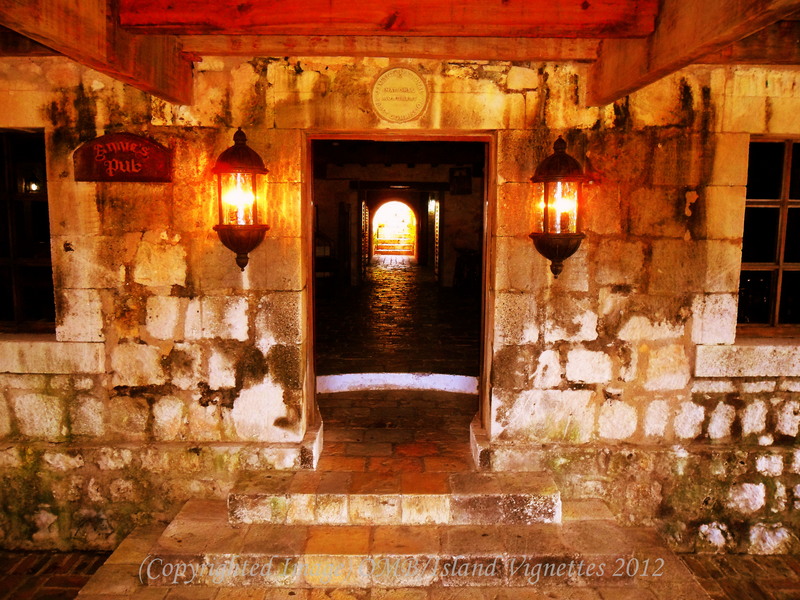 Since this is ISLAND VIGNETTES, you know there must be more stirring in the pot than the stew! Not only will I share the story with you, but I’ll also tell you a bit more about how life at this once bustling home seems so inextricably intertwined with the social development of the country in which it resides. Help me do it, guess the destination!